Johns Hopkins School of Medicine, 1998. Resident in Internal Medicine, University of Chicago Hospitals, 1998-2001. Fellowship in Resuscitation and Emergency Medicine, University of Chicago Hospitals, 2001-2002. Resident in Emergency Medicine, University of Chicago Hospitals, 2002-2004. Diplomate, American Board of Internal Medicine, 2001. Pediatric Advanced Life Support Provider Certification, 2002. Advanced Cardiac Life Support Provider certification, 2002. Neonatal Resuscitation Program Provider certification, 2002. Advanced Trauma Life Support certification, 2003. Advanced Cardiac Life Support Instructor certification, 2004. Diplomate, American Board of Emergency Medicine, 2016. Dr. Abella studies sudden cardiac arrest, a leading cause of death that claims over 300,000 lives each year in the United States. Specifically, projects within his clinical research team include: (1) evaluation of CPR and resuscitation performance, (2) testing new methods to teach CPR in the community, (3) prognostication of neurologic outcomes after cardiac arrest, and (4) methods to improve the application of therapeutic hypothermia. Dr. Abella is also the developer and Medical Director of a novel training course for therapeutic hypothermia use in the hospital setting. 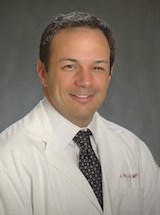 Dr. Abella has published scholarly work in numerous professional journals including JAMA and Circulation, and has authored review monographs and textbook chapters on cardiac arrest and resuscitation. He serves on the American Heart Association Emergency Cardiovascular Care task force and has participated in developing international CPR guidelines. He has won a number of honors for his research, clinical care in the Emergency Department and his teaching of residents and medical students, and has lectured widely on the topics of cardiac arrest and post-arrest hypothermia treatment. The investigative work of Dr. Abella’s team is supported by funding from the NIH and Medtronic Foundation, as well as industry sources. Abella BS, Gaieski DF. : Coronary Angiography after Cardiac Arrest - The Right Timing or the Right Patients? NEJM march 2019. Teran Felipe, Dean Anthony J, Centeno Claire, Panebianco Nova L, Zeidan Amy J, Chan Wilma, Abella Benjamin S: Evaluation of Out-of-Hospital Cardiac Arrest using Transesophageal Echocardiography in the Emergency Department. Resuscitation Feb 2019. Balian Steve, Buckler David G, Blewer Audrey L, Bhardwaj Abhishek, Abella Benjamin S: Variability in survival and post-cardiac arrest care following successful resuscitation from out-of-hospital cardiac arrest. Resuscitation Feb 2019. Nordseth Trond, Niles Dana E, Eftestøl Trygve, Sutton Robert M, Irusta Unai, Abella Benjamin S, Berg Robert A, Nadkarni Vinay M, Skogvoll Eirik: Rhythm characteristics and patterns of change during cardiopulmonary resuscitation for in-hospital paediatric cardiac arrest. Resuscitation 135: 45-50, Jan 2019. Roberts Brian W, Kilgannon J Hope, Hunter Benton R, Puskarich Michael A, Shea Lisa, Donnino Michael, Jones Christopher, Fuller Brian M, Kline Jeffrey A, Jones Alan E, Shapiro Nathan I, Abella Benjamin S, Trzeciak Stephen: Association Between Elevated Mean Arterial Blood Pressure and Neurologic Outcome After Resuscitation From Cardiac Arrest: Results From a Multicenter Prospective Cohort Study. Critical care medicine 47(1): 93-100, Jan 2019. Hope Kilgannon J, Hunter Benton R, Puskarich Michael A, Shea Lisa, Fuller Brian M, Jones Christopher, Donnino Michael, Kline Jeffrey A, Jones Alan E, Shapiro Nathan I, Abella Benjamin S, Trzeciak Stephen, Roberts Brian W: Partial pressure of arterial carbon dioxide after resuscitation from cardiac arrest and neurological outcome: A prospective multi-center protocol-directed cohort study. Resuscitation Nov 2018. Leary Marion, Almodovar Alfredo, Buckler David G, Bhardwaj Abhishek, Blewer Audrey L, Abella Benjamin S: Using an Immersive Virtual Reality System to Assess Lay Provider Response to an Unannounced Simulated Sudden Cardiac Arrest in the Out-of-Hospital Setting. Simulation in healthcare : journal of the Society for Simulation in Healthcare Nov 2018. Heard Debra G, Andresen Kevin H, Guthmiller Katie M, Lucas Ryan, Heard Kennon J, Blewer Audrey L, Abella Benjamin S, Gent Lana M, Sasson Comilla: Hands-Only Cardiopulmonary Resuscitation Education: A Comparison of On-Screen With Compression Feedback, Classroom, and Video Education. Annals of emergency medicine Nov 2018. Blewer Audrey L, McGovern Shaun K, Schmicker Robert H, May Susanne, Morrison Laurie J, Aufderheide Tom P, Daya Mohamud, Idris Ahamed H, Callaway Clifton W, Kudenchuk Peter J, Vilke Gary M, Abella Benjamin S: Gender Disparities Among Adult Recipients of Bystander Cardiopulmonary Resuscitation in the Public. Circulation. Cardiovascular quality and outcomes 11(8): e004710, Aug 2018. Teran F, Abella BS: Oxygen delivery after cardiac arrest: Adding fuel to the fire? Resuscitation 128: A1-A6, July 2018.